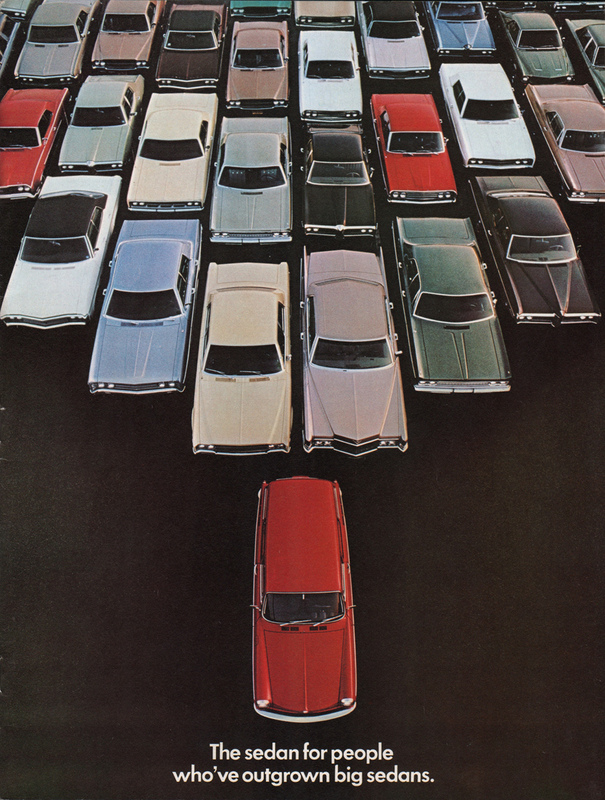 Sales brochure for the 1972 Volkswagen featuring the VW Squareback with a96.6cu 4-cylinder under the rear compartment. The cover says, The sedan for people who've outgrown big sedans. Exterior color options are Kansas Beige, Enzian Blue, Bright Orange, Kasan Red, Marina Blue, and Texas Yellow. The inside cover page indicates that this is a 1972 brochure with version 33-32-26010B (ref B version for 1972) on the back cover. The 1970 Volkswagen promotional booklet is similar but dated differently.